With the advent of digital devices and software, self-tracking practices have gained new adherents and have spread into a wide array of social domains. 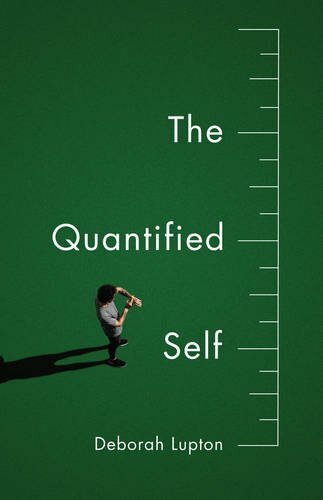 The Quantified Self movement has emerged to promote ‘self knowledge through numbers’. In this ground-breaking book, Deborah Lupton critically analyses the social, cultural and political dimensions of contemporary self-tracking and identifies the concepts of selfhood, human embodiment and the value of data that underpin them. The book incorporates discussion of the consolations and frustrations of self-tracking as well as the proliferating ways in which people’s personal data are now used beyond their private rationales. Lupton outlines the ways in which the information that is generated by self-tracking now taken up and repurposed for commercial, governmental, managerial and research purposes. Self-tracking has broader implications, therefore, for the ways in which personal data practices are intertwined with big data politics. Sociologist Deborah Lupton (blog / Twitter) is Centenary Research Professor of Communication at the University of Canberra, Australia. Sociologist Deborah Lupton says the growing use of health tracking technology is conditioning society to reveal more personal information about themselves, often giving it to corporations interested only in turning a profit. Self-tracking is rapidly changing how people think about their bodies. Using gadgets and sensors to chart everything from heart rates to moods is altering attitudes about how much information people are willing to reveal about themselves, sociologist Deborah Lupton said, and even what they’re willing to let corporations collect and analyze. Lupton explores the privacy implications and the broader cultural changes associated with our obsessive tracking in her forthcoming book, “The Quantified Self: A Sociology of Self-Tracking Cultures.” Evan Selinger recently spoke with her about the privacy consequences of personal data tracking.